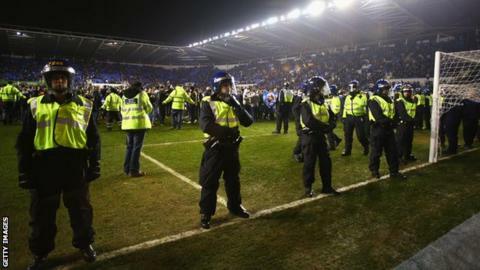 Reading have been fined £100,000 by the Football Association for failing to prevent a pitch invasion after their FA Cup quarter-final replay with Bradford. The Championship club won the tie 3-0 but have been found guilty of breaching FA rule E20, which they had denied, at the Madejski Stadium on 16 March. Aston Villa were fined £200,000 in May for a pitch invasion during their last-eight win over West Bromwich Albion. Reading lost their semi-final 2-1 to Arsenal after extra time at Wembley.